Sanyu will comply with your requests as a canmaking industry specialist. 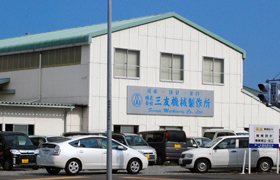 Since 1965, Sanyu has been engaged in Can Making Machinery business. We have installed more than 2,000 machines for about 50 years. 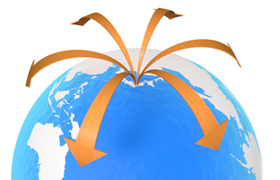 Sanyu's technologies complied with Japanese high requirements have been well acknowledged and reputed widely in the world. 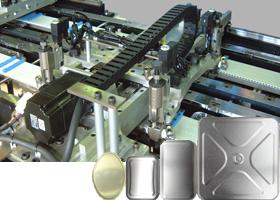 Our machines are designed and manufactured by Sanyu Japan, which are reliable enough for your long period use. Complete production line including Stretch Reformer, Paneling Machine, and Flanger for 18L square can. You can see the part of the manufacturing process of the "Mountain Top"
High speed progressive press for making 18L square ends, equipped with servo driven blank feeding system. Compound spraying system in which 4 ends are lined simultaneously by computer programming. Combination machine for making general cans including Necking, Expanding, Flanging, Beading, and threading operations. Royal Cap making line including ZIGZAG Press and combination machine that sets packing from the inside, and sets protection from the outside. Transfer Press with 2 lanes for making 2 kinds of product. High Speed Production Machine operating Necking, Flanging and Beading for beverage can. Copyright © 2009-2013 Sanyu Machinery Co. Ltd. All Rights Reserved.